(Parliament (Administration) Act, Cap.10 - Section 3(4) and First Schedule). Senator the Hon. J. E. D. Williams and Senator F. J Stuart. Senator the Hon. E. R. Griffith, Senator the Hon. J.E.D. Williams, and Senator Dr. D. S. Lowe. Her Honour Senator Dame Patricia Symmonds, Senator Miss P. E. Parris, Senator Dr. F. L. Chandler and Senator Dr. D. S. Lowe. Senator Hon. Miss L. V. Eastmond. Senator I. St. C. Linton, Senator the Very Rev. H. E. Crichlow and Senator F. J. Stuart. Senator T. E.Barker, Senator I. G. P. Gooding-Edghill, Senator F. J. Stuart and Senator Sir John Stanley Goddard, K. A. Her Honour Senator Dame Patricia Symmonds, Senator R. W. Grant, Senator G. P. B Nicholls, Senator the Hon. Mrs. V. E. Newton, Senator Dr. F. L. Chandler and Senator Dr. D. S. Lowe. Senator the Hon. E. R. Griffith, Senator the Hon. Miss L. V. Eastmond, Senator G. P. B. Nicholls, Senator Sir John Stanley Goddard and Senator F. J. Stuart. 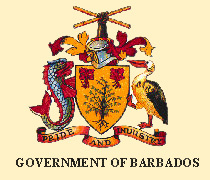 Keep under constant review the development and implementation of Barbados’ political and economic external relations. Receive reports and recommendation from the Minister of Foreign Affairs and Foreign Trade and other relevant authorities. Receive oral and written submissions from members of the general public concerning matters relating to foreign affairs and foreign trade. The following are members of this Joint Committee. Senator Sir Roy Trotman, Senator Sir Allan Fields and Senator Dr. D. S. Lowe. Senator the Hon. E. R. Griffith: To move the passing of a Resolution to approve the compulsory acquisition by the Crown of parcels of land situate at Queen Street, Speightstown in the parish of St. Peter in this Island for the provision of an access to the beach. Notice of this Resolution was given on 12th May, 2004. Senator the Hon. E. R. Griffith: To move the passing of a Resolution to take note of the Report of the National Commission on Law and Order. Notice ofthis Resolution was given on 11th January, 2006. Senator the Hon. E. R. Griffith: To move the passing ofa Resolution to approve in accordance with Section 5 of the Land Acquisition Act, Cap. 228 the compulsory acquisition by the Crown of parcels of land situate in the parish of Saint Michael in this Island for the public purpose of facilitating construction work on the Bridgetown Roads and Safety Improvement Project. Senator the Hon. E. R. Griffith: To move the passing ofa Resolution to approve in accordance with Section 5 of the Crown Lands (Vesting and Disposal) Act, Cap. 225 the vesting in the National Housing Corporation of parcels of land, the property of the Crown, situate at Jackmans in the parish of Saint Michael in this Island for the construction of an access road to a housing development. Notice of this Resolution was given on 11th January, 2006.